One of my favorite people got married this Spring. 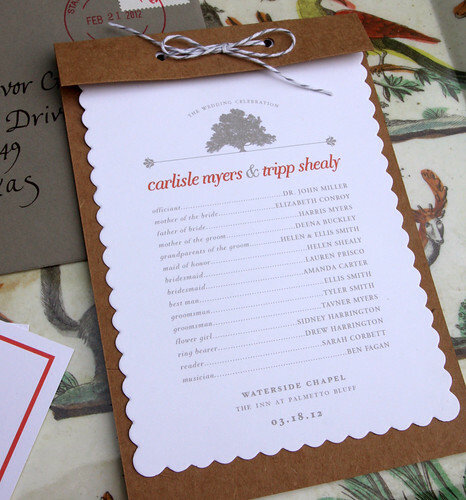 I couldn't be at the wedding, but Tenn Hens made a small appearance at the nuptials with our paper designs. 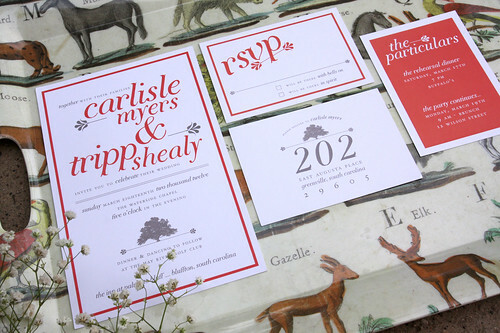 The bride's only request was a palette of coral + gray so we took the reins and came up with a bold and colorful suite. There was a bit of DIY from the crafty bride as well. Paper Presentation is a great resource for all you paper lovers out there. 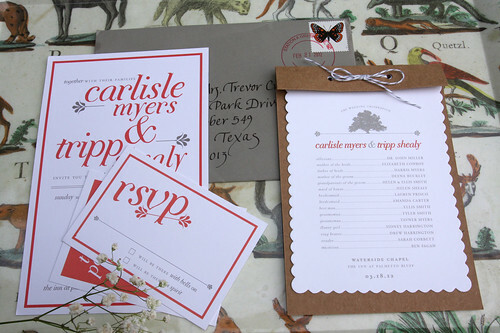 We ordered these great kraft backers and scalloped cards, which you can print from home, and designed a simple program for guests. A bright and happy look for a very happy day.